Adam Gibbons is one of the most talented and prolific artists in the world of alternative dance music today. 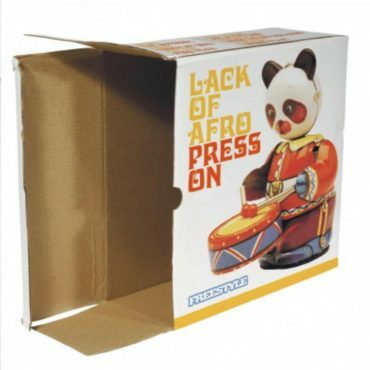 Recording under various guises, Adam first found acclaim as Lack of Afro back in 2006. This musical troubadour has now released five Lack of Afro albums and produced, remixed or mixed tracks by a total of 70 (and counting) different artists. Lack of Afro continues to go from strength to strength. 2016’s Hello Baby picked up a BBC 6 Music ‘Album Of The Year’ nomination & appeared in the Top 10 of the iTunes R&B / Soul chart in 21 countries worldwide. And his music continues to be used across all aspects of film & TV by networks such as ABC, Fox, NBC, Sony Pictures & the BBC. 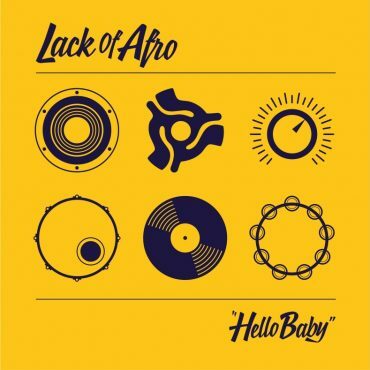 Multi-instrumentalist, composer, producer and DJ, Adam Gibbons (aka Lack of Afro) came back in considerable style in 2016 with Hello Baby – his fifth studio record and the first Lack of Afro album to be released on his own LOA Records imprint. Described as ‘always having a knack for finding great vocal collaborations’, he has raised the bar again here! Featuring a stellar cast of guest vocalists including Grammy-award winner Joss Stone, steam-punk legend Professor Elemental & arguably the most talented young soul singer in the UK today in Elliott Cole – Hello Baby is a genre-bending colossus of an album that is packed full of Adam’s trademark multi-instrumental goodness, heavy drums, percussion-packed production, and ear for a good tune. 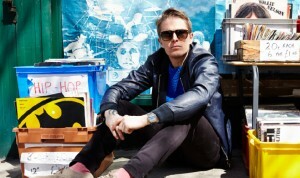 Also featured on the record is soul singer Juliette Ashby (who featured heavily in the Oscar-winning Amy documentary) – Californian rapper, regular Lack of Afro collaborator (and one half of The Damn Straights) Herbal T, and rising star of the northern soul / mod scene, dancer, model & vocalist Emma Noble. A wide-ranging, eclectic and progressive musical outlook has always been the Lack of Afro approach and Hello Baby doesn’t disappoint. Classic R&B (I Got The Rhythm, Take Me Home), Soul (All My Love, Fires Glow), Hip-hop (One World, Walk In The Sun), Disco (Magic Together), and elements of House, Indie-Rock and a smattering of Electro (Now I Feel Good, Searching For Peace & Love) all come together to create an album that is stuffed with beautiful audio gems of all varieties. Adam’s music has been much in demand in TV, Film and Advertising, with directors including Steven Soderbergh and companies including ABC, Disney, HBO, Sony Pictures, Adidas & Miller Lite all using the Lack of Afro sound for successful projects and campaigns. Hello Baby continues in this vein and is without doubt an even more confident, assured and mature collection than its predecessor. Lack of Afro has always aimed for a wide ranging, eclectic and progressive musical outlook and his 2014 album follows suit as he harnesses disparate musical styles ranging from funk, soul and hip-hop to create a contemporary yet vintage musical escapade of superb songs. On this his 4th studio album, the influences, sounds and musical textures are more eclectic than ever. 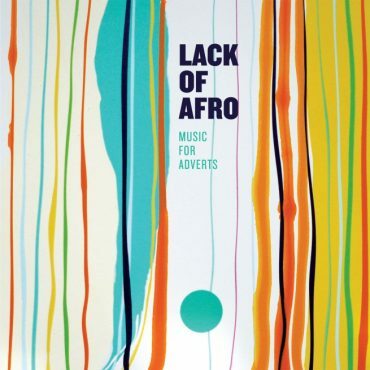 Music For Adverts is stuffed with beautiful audio gems of all varieties – from those ‘proper songs’, through tough nut, hard hip hop jams, deeply grooving funk – Lack of Afro has mastery of many genres, production & various instruments, which is why this album is a fully formed tour de force through contemporary soul. With Freedom, Recipe For Love, Here We Go Again (another outing with Wax & Herbal T together East Coast producer EOM) and Brown Sugar all in-demand for TV, film & ads. Music For Adverts is LOA’s best-selling album to-date but this is set to change with the release of his follow up album, Hello Baby. A wide ranging and eclectic, progressive musical outlook has always been the Lack Of Afro approach, and on this collection the music pulls together several strands into a fantastic, homogenous journey with almost too many highlights to mention! The release of Lack of Afro’s 3rd album in 2011 saw him continuing to work with Wax & Herbal T making the huge track P.A.R.T.Y which is now an LOA classic and has achieved great success in TV, film and ads since it’s first outing in the Adidas / Foot Locker – NBA Party worldwide ad campaign. On The Importance Of Elsewhere Angeline Morrison displays her fully deserved soul credentials and there’s a smattering of well rounded and grooving instrumentals including the outstanding Duane Eddy meets Quentin Tarantino meets LOA, Lazy Lazarus. This Time is considered, soulful, contemporary yet retro, accomplished certainly and setting standards in modern music others will struggle to follow. Numero Seenko is the b-side of the 7″ single, A Time For and was featured in the film Dumb & Dumber To. 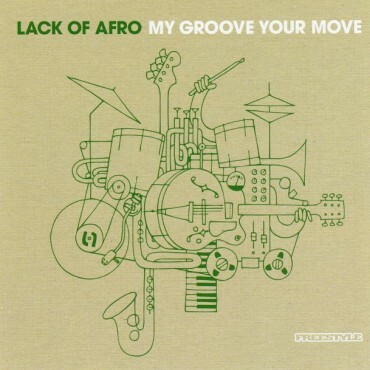 In 2009 Lack of Afro dispelled the ‘difficult second album’ syndrome without breaking a sweat with the release of My Groove, Your Move. His sound seemed to expand in every direction on the record whilst retaining the signature LOA elements of deep dish drums, Nick Radford’s rootsy guitar picking & ex Ocean Colour Scenes’ Damon Minchella’s thundering bass. 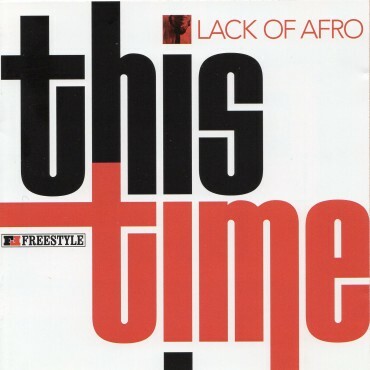 This album marked the beginning of what would turn out to be a long lasting & successful relationship when Lack of Afro became the first UK producer / artist to collaborate with US rappers, Wax & Herbal T who bust out all over with the slamming club killer International and the chilled Suspicious Glow. The amazing Roxie Ray is suitably sultry on Tell Me What Happens Now and there’s the magnificently catchy & groovy instrumental, Together At Last. This album is a high octane, trail blazing and innovative venture that is comfortable with it’s own past, our present and everyone’s future. Adam has enjoyed consistent success with his Lack of Afro moniker, releasing his first album, Press On in the autumn of 2007. Taking its cues from the heavy funk and soul of the 70s, and giving them something of an updated twist, it is without a doubt one of the finest albums of the modern funk era. It was picked up on by some of the most respected names in the scene. Bonobo, Mark Lamarr and Craig Charles all rated it very highly, not surprising when tunes like Roderigo, and the near classic The Outsider had blazed across dance floors all over Europe. Then there’s the sublime genius of Touch My Soul, featuring the voice of Steve Marriott of The Small Faces. With elements of Funk, Soul and Jazz blended with tight breaks and Adam’s distinctive production, Press On proved irresistible and won him many plaudits.